PORT OF SPAIN, Trinidad, May 11, CMC – The Trinidad-based Caribbean Court of Justice Friday restored the 2013 acquittals of James Hyles and Mark Williams over their alleged involvement in what has been dubbed the ‘Lusignan Massacre’, in Guyana despite substantial procedural errors at trial. Gunmen on January 6, 2008, went from house to house on the East Coast Demerara village of Lusignan armed with high powered rifles and killed 11 people including five children, as they slept in their homes. Hyles and Williams were indicted on 11counts of murder and during their trial the presiding judge allowed a request by Hyles’s attorney to question jurors, before they were sworn in, due to the widespread pre-trial publicity of the case. The trial judge as well as state and defence counsel actively participated in this exercise. The main prosecution witnesses were two members of the gang allegedly responsible for the massacre, one of whom was charged in connection with the massacre. However, the charges against him were withdrawn a mere two weeks before the trial began. Hyles and William both denied involvement in the killings, but the jury on found both men not guilty on August 2, 2013 on all counts. The Director of Public Prosecutions appealed the acquittals, under the newly amended Court of Appeal Act, on the basis that there were material irregularities in the trial. The Court of Appeal agreed, allowed the appeal, overturned the verdicts of not guilty and sent the matter back to the High Court for a retrial. They argued that the new law offended the principle against double jeopardy, which prevents an accused person from being tried again on the same, or similar, charges and on the same facts. However, the Court rejected this argument and reminded the appellants that the wording of the Constitution contemplated the possibility of such an appeal and that in principle, the rule against double jeopardy only protected acquittals which were affirmed by the appellate courts. The Court held that the appellants’ acquittals did not fall into that category. 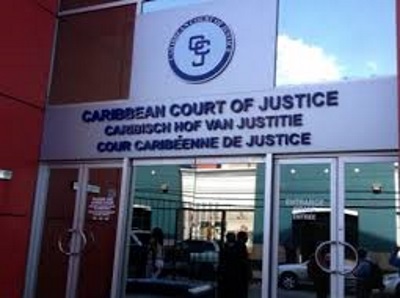 Before considering the specific procedural issues, the CCJ acknowledged that the requirement, that the acquittal had to be the result of a procedural error(s) or flaw(s) of the trial judge, was a steep hill for an appellate court to climb. 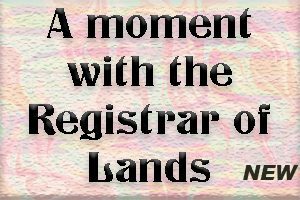 As such, the Court constructed a test specifically for application in prosecution appeals against acquittals. It held that that the prosecution must satisfy the Court that “given, on the one hand, the nature and weight on the evidence and, on the other hand, the seriousness of the judicial error(s) or procedural flaw(s) it can with a substantial degree of certainty be inferred that had the error(s) or flaw(s) not occurred, the trial would not have resulted in the acquittal of the accused”. While the CCJ did not agree fully with the findings of the lower court, it found that there were some material irregularities, including the way in which the questioning of the jurors was conducted and the failure of the trial judge to investigate an allegation of improper communication between a juror and man alleged to be Hyles’ father. However, on application of the test, the CCJ held that it could not with the required degree of certainty infer that the acquittals were the result of the errors and that it was possible that the jury simply did not believe, beyond reasonable doubt, the evidence presented by the state. The CCJ allowed the appeal, set aside the decision of the Court of Appeal of Guyana and restored the jury’s verdict of acquittal of the appellants.